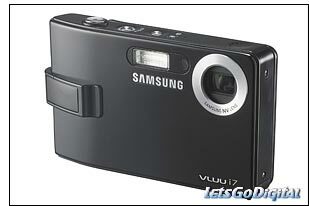 The i7 is Samsung’s latest ultra-portable digital camera. The most glorious feature of this camera resides on its backside. 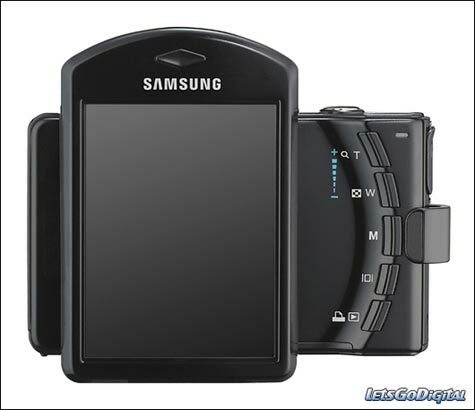 The 3-inch LCD screen can rotate 180 degrees for uh… I don’t really know why. I guess you can just look at your vertical pictures a little larger. In addition to this crazy LCD, the i7 has a 7.2-megapixel sensor, 3x optical zoom, 1600 ISO support, advanced shake reduction (ASR) and support for MP3s. Jump for a picture of the i7’s frontside.